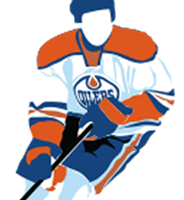 Odds are very high that the Oilers will pick at #9 or #10 although they do still have a chance to move into the top 3. There is also a small chance that the Oilers fall out of the top 10 and pick in either the 11th or 12th position. Now before we all start getting too upset about this and letting it ruin our day remember that the flames are also in the draft lottery but traded their pick to the Islanders so really we’re much better off than them :). Yesterday I had published the first ever Oilerhockey draft rankings and listed my projected top 10 prospects. I will expand that list with information for the next 10 ranked prospects shortly so stay tuned. In Spite of the complete failure of the team Connor McDavid had an absolutely terrific season. He was very sick for about a month early in the season or I’m sure he would have finished up with close to 120 pts. As it is his 108 pts are enough to lead the NHL and earn McDavid the Art Ross trophy for the 2nd year in a row becoming the first player to win back to back Art Ross Trophies since Jaromir Jagr won 4 in a row from 1997 – 2001. McDavid’s 41 goals this season is the highest single season total for an Oiler in 28 years since Mark Messier scored 45 in the 1989-1990 season. McDavid is also proving to be a very durable player. In spite of getting hacked and slashed by the opposing teams all game long McDavid has played all 82 games for the 2nd consecutive season. The most impressive stat for me is McDavid’s even strength production where he finished the season with 84 even strength points which is the highest total in 22 years since Jaromir Jagr finished with 95 in the 1995-1996 season. McDavid has 18 more even strength points than Claude Giroux who is 2nd with 66 even points this season.